Sarah Martin. Old Country Love Song. New Official Music Video. - Newhillbilly website. 100% American Roots Music. Sarah Martin. Old Country Love Song. New Official Music Video. 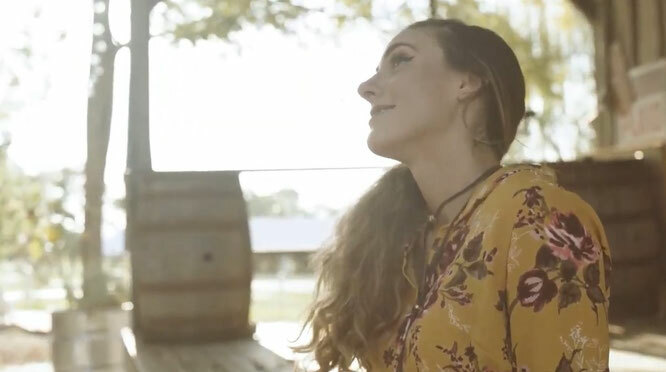 Sarah Martin performs her last single and video "Old Country Song." Originally from Lakeville, Massachusetts, Sarah Martin is a Country singer based out of Nashville, Tennessee. Though Sarah has been a singer in the music industry since 2003, she started pursing music full time as both an acoustic cover artists and songwriter in 2013. Since then, she has performed over 3000 hours of show in over 150 different venues throughout the US including Massachusetts, Rhode Island, Connecticut, Ohio, Kentucky, California, and Tennessee. With her outgoing personality and passion for sharing her voice, Sarah performs both in Nashville, and on the road, wowing crowds with her diverse repertoire, original music, and big voice. Sarah released her first eight-song All Acoustic CD in the summer of 2016 receiving very positive feedback from fans and people in the industry. Sarah is excited now to have released her first full production album, "Muddy Boots", with eight original songs, that continue to follow the true-story events of her life.